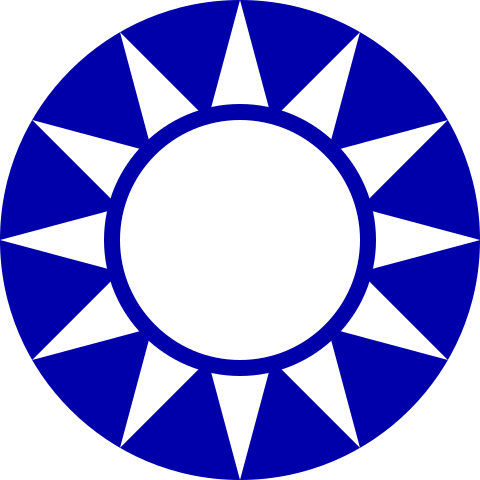 English: Emblem of the Kuomintang. 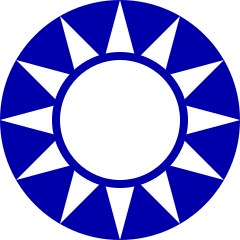 English: Drawn and originally uploaded onto English Wikipedia by Zscout370, then modified by Laurent1979 based on the official KMT website logo. Este emblema foi criado com o Other tools. atual 18h17min de 14 de maio de 2013 600 × 600 (613 byte) Zscout370 The code is fixed so it should be displaying correctly now. 08h40min de 5 de outubro de 2012 270 × 270 (2 kB) TheDJ Repair this file, someone broke it. 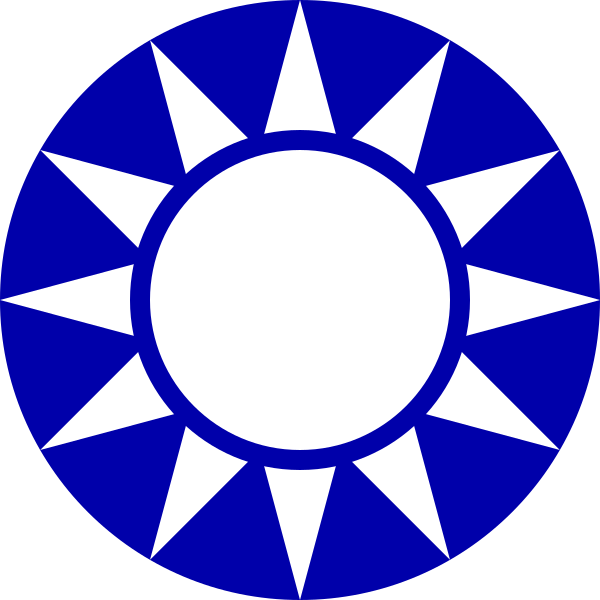 13h32min de 17 de outubro de 2009 270 × 270 (1 kB) LHD Reverted to version as of 11:30, 16 July 2009, the emblem at http://www.kmt.org.tw/hc.aspx?id=34&aid=2774 is NOT correct.The twelve rays can't be connected anymore.